It can be worrisome when your check engine light comes on, but taking your vehicle to a friendly, trustworthy shop that has over 40 years of auto repair expertise will give you peace of mind! We pride ourselves on providing high-quality repairs with a quick turnaround that will have you back on the road in no time. When you need a check engine light repair, we’ll make sure it’s done right the first time. If you’re looking for an auto repair shop with superior customer service, extensive experience, and the friendliest team in Covina CA, contact Bender’s Auto Care! If your check engine light comes on, it’s important to make an appointment as soon as possible to diagnose the issue. In some cases, it may be a simple fix, like an electrical issue that’s causing the light to turn on. In other cases, it could be an indicator of a more serious problem with the engine. While it can be tempting to ignore the light if you’re not noticing any issues with your vehicle, this can sometimes allow the problem to progress to the point that it may cause costly damage to your engine. 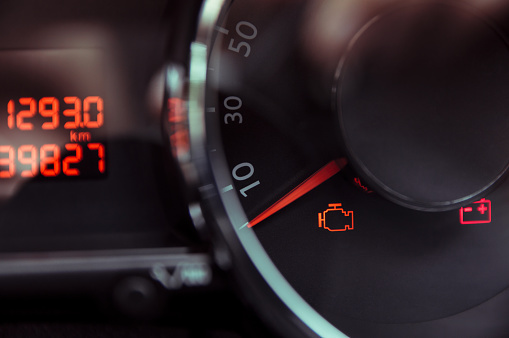 When you come to us for a check engine light service, you can count on our highly-skilled, ASE Certified Technicians to quickly fix whatever is causing the light to come on. When you go to some shops for a check engine light repair, they may explain your vehicle’s issues using confusing jargon or even worse, not explain anything at all. That’s certainly not the case with us! We make customer service our highest priority, and spend ample time explaining what’s going on with your vehicle in easy to understand, simple terms. We want you to feel confident from the moment you enter our shop until the moment you leave with your vehicle. We’re sure you’ll agree we’re the friendliest auto shop in the Covina CA area! We’re a complete auto care shop, so no matter if you have a problem with your check engine light, or you just need to schedule routine maintenance, we handle it all. We’re confident you’ll find our friendly team and high-quality repair service refreshing. Contact us today through our online form or give us a call at (626) 322-3022. We look forward to seeing you!